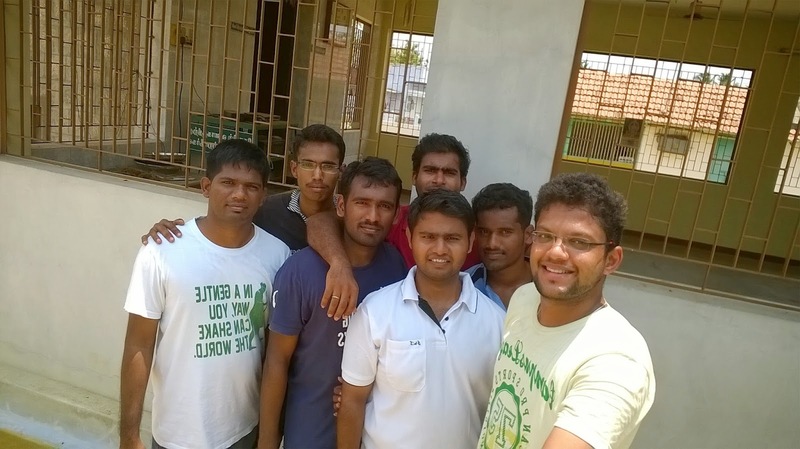 Mentor@coderdojoerode ,opensourse,digital literacy,mentor@webmaker erode club, technology. 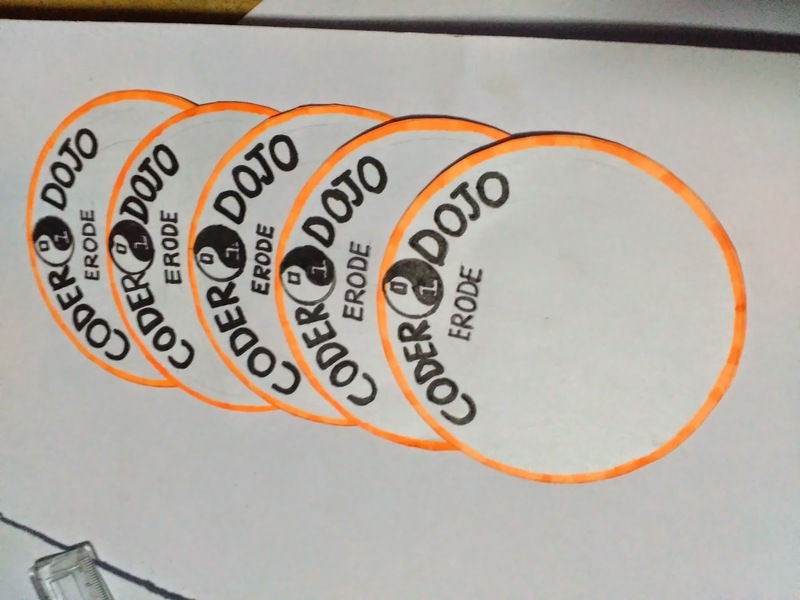 I am writing about my experience with Coderdojo Erode Inaugural event. 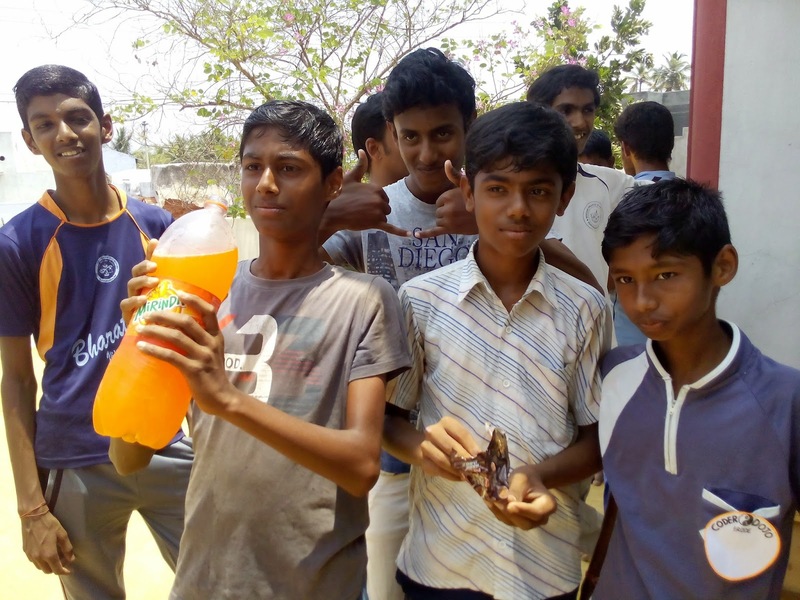 Event held on 5/4/2015 at our village temple ground. In this event, I helped with Designs and printouts. We planned for the event for past week by meeting every evening. Day before the event, we had a meetup until 11.30 PM for event preplanning. On the day of the event, we all meetup at temple ground around 9.30 AM. Around 10 AM, we had six learners from different age groups. I handed over event badges that was designed by me to learners. We had seven volunteers helping with this event apart from mentors. Gauthamraj Elango started the event by talking about “Basics of Computer”. He used printouts to explain these things. Learners showed interest and actively participated. 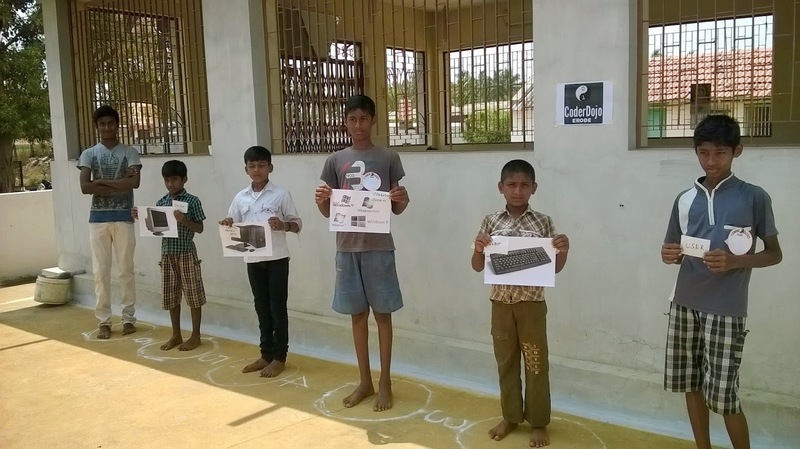 We explained Basic system and process of Computer with small sheets by forming Human Chain. This activity helped learners to understand process easily. 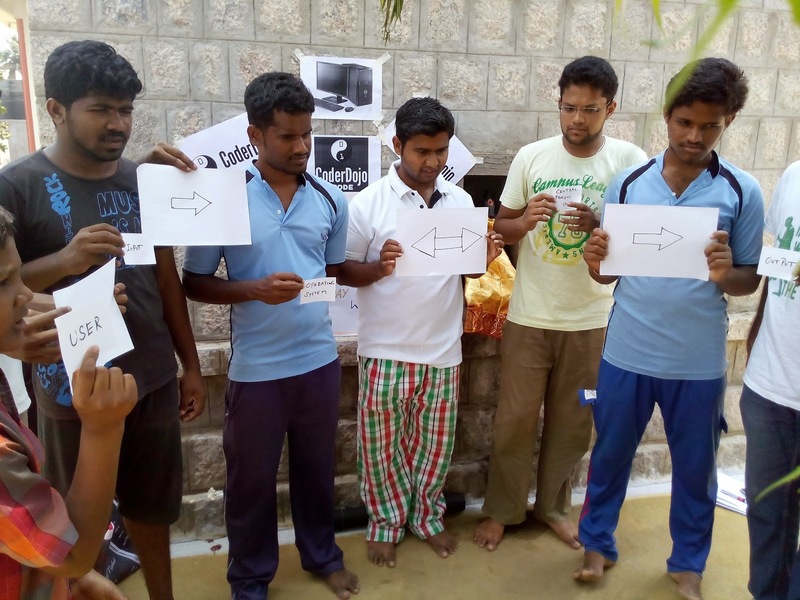 Our another mentor Udhayakumar explained about how computer works using Human Chain. We then had a Puzzle game for learners based on Human chain. This is to make learning easy and FUN ! Two learners showed interest to share their learning on a paper. They able to reproduce their learning well. 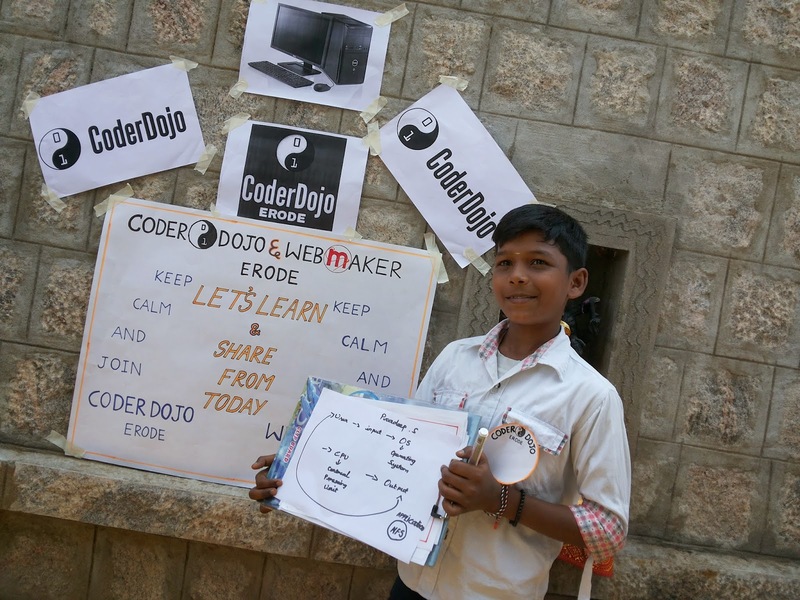 I would like to thank CoderDojo Erode team for giving this opportunity. Why #NetNeutrality matters a lot to us ? 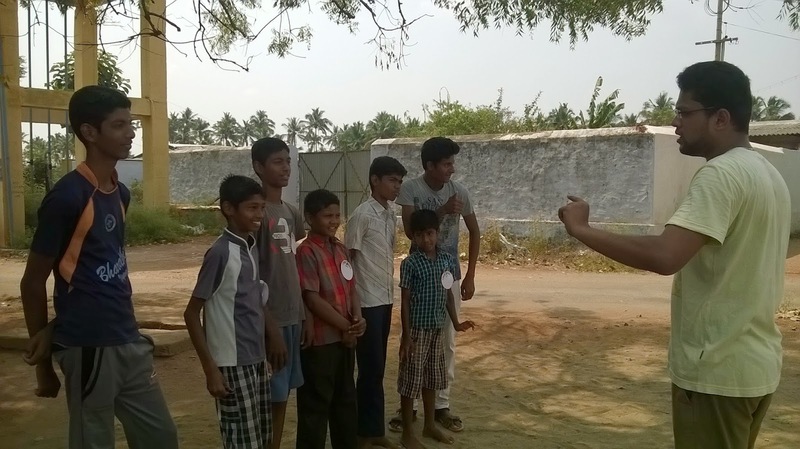 As a group, our vision is to provide better education about/with technology to kids/youth. Our prime focus is on rural areas. In rural places, Infrastructure and access to technology is getting better and can be affordable. We think, the awareness and skills required to use/access the Internet are missing. (i.e) they aren't web nor digital literates. 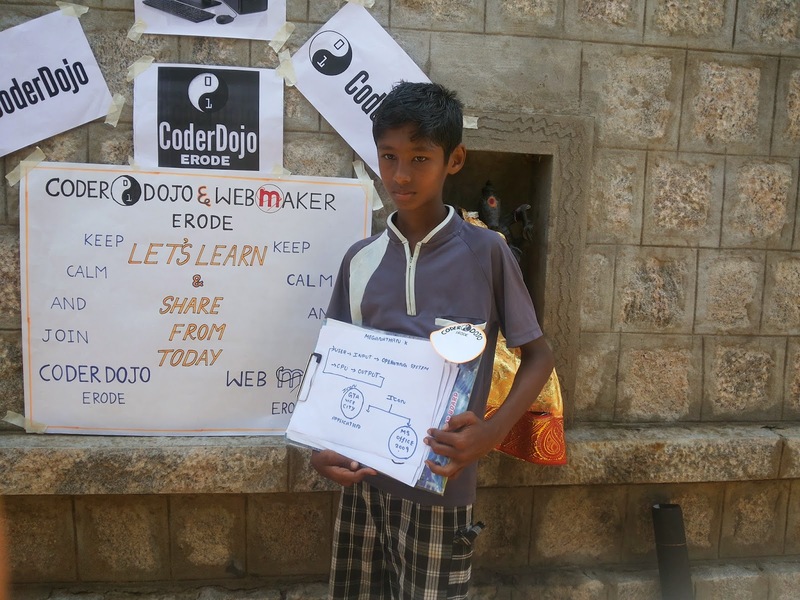 CoderDojoErode & Webmaker Erode clubs we are trying to bridge the gap between rural people and technology. To have a good impact, we do this only with Kids and Youth in rural region. If Internet is not Neutral, our learners won't be able to come online since they can't afford the high costs. This will put up a barrier at the access level itself. Providing required skills and making rural kids/youth as web literates who can't afford to come online, doesn't make any sense nor impact for both learners and us. Not having, Neutral Internet will make the dreams of our team, volunteers, mentors and learners as a dream that won't come true for ever. thanks for your support @jgmac1106.